Early morning fitness is never easy. You want to sleep in, you are tired and sore, and you just hate the idea of being cold outside doing some endurance activity. Every time you pass through the same phases of morning fitness, and we did an infographic here. Disable snooze on the alarm - hitting the snooze button on the alarm is so tempting when your heart wants just five more minutes of sleep. But hit the snooze button three times, and you have possibly wasted part of your fitness time, so you either give up completely or you cut the training short. So no snooze, that way you know you need to get up immediately. Put your alarm on the other side of the room - if not having a snooze button is not enough, you need to physically get out of bed in order to push on with your day. This tip works great if your significant other sleeping lightly, so you need to rush to the alarm ASAP across the room. Splash your face with cold water right after you get out of bed - Reset time. A splash of cold water definitely wakes you up and destroys most chances of going back to bed and snoozing off. So straight to the bathroom and a good splash of cold water. Have your gear ready - One of the best excuses to go back to bed is not being able to find your gear, or just find out that it's been washed and still wet. 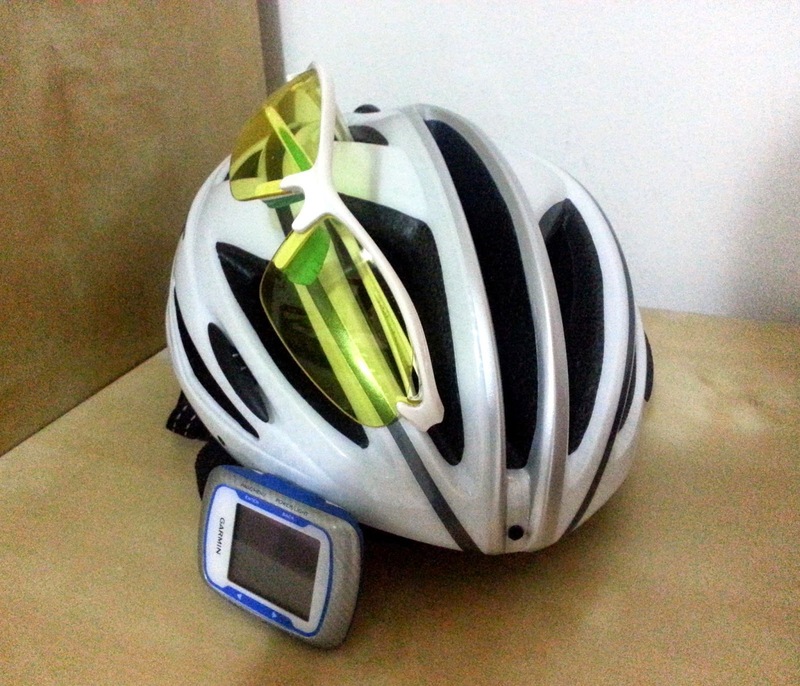 Have your gear folded and ready the night before, including helmet, gloves, cyclocomputer and cycling eyewear. That way you don't waste any time, and there are no excuses. Psych yourself up - Getting yourself in a positive mental mindset helps immensely to jump out of bed ready to exercise. The afternoon before your training, visualise a fast and successful training session, and invoke images from previous great training sessions. I've had days when I have jumped out of bed on the first ring of the alarm, ready to go out and have fun. Mental preparation is a fantastic tool for motivation - use it! Turn in early - The most obvious of all tips, if you sleep well and long enough, you'll be ready for a morning exercise session. Try to avoid late night TV shows, drinking too much and late night office work unless absolutely. If you have a party or need to do something for work, reschedule your exercise for another day. As for TV shows, they are all on re-runs at a later date, or just watch them on Netflix. How do you push yourself to start a morning fitness? Tell us in the comments!